Booth: M01 224 Parents want this! Kids nowadays may not know about the old school games their parents used to play. 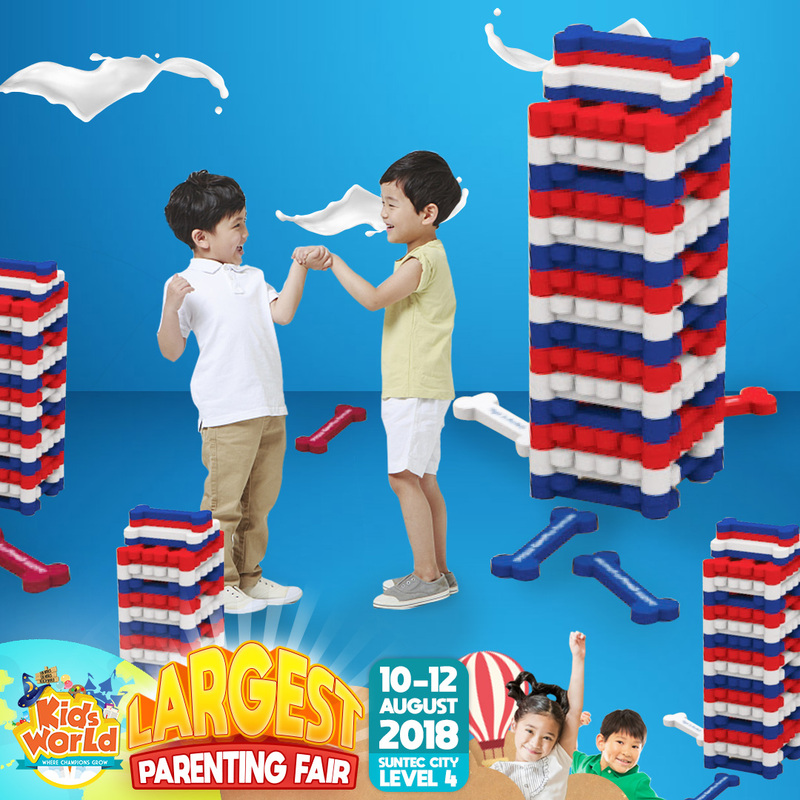 Marigold HL is bringing in Giant Jenga Game for your kid to play and complete before heading to the next station! Find out how focus your kids can be in this game. Complete all game stations with a fully chopped HL Milk Passport and redeem a freebie! Shortlist and explore at booth M01!! MARIGOLD HL Milk was the first high-low milk to be launched here in 1988! Join them as they talk about the joy of drinking milk and healthy living! Your daily dose of highs and lows!